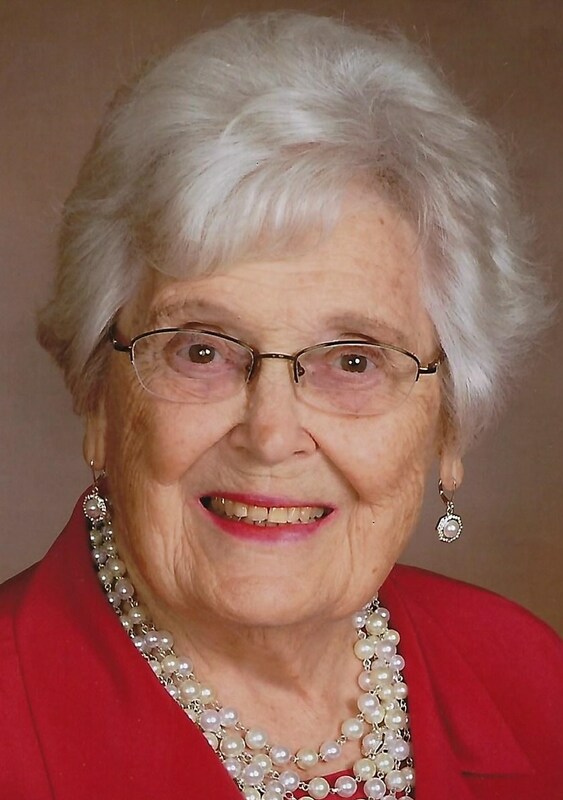 Age 91, of Greenback Road in Fort Loramie, Ohio, passed away of natural causes at her residence early Friday morning, March 15, 2019. She was born September 1, 1927, in Sidney, Ohio, to the late Franklin and Clara (Schmerge) Cole. On May 13, 1950, at Holy Angels Catholic Church in Sidney, Polly married Urban "Turp" Ratermann who preceded her in death on October 6, 2005. Surviving from eight children are Frank & Illean Ratermann of Sidney, Leah & Dennis Wente of New Bremen, Steven (dec.) & Chris Ratermann of Fort Loramie, Fred Ratermann of Fort Loramie, Mary Ann & Greg Novitsky of Flower Mound, TX, Philip & Lisa Ratermann of Tipp City, Karl & Robin Ratermann of Fort Loramie and Matt & Jane Ratermann of Fort Loramie along with 23 grandchildren and 21 great-grandchildren. Also surviving are numerous nieces, nephews, friends and care givers. She was preceded in death by seven siblings: Francis & Melvin Nolte, Bernie & Alice Cole, Ruth & Harold Avy, Mary & Robert Schoefler, Jerry & Carol Cole, Charles & Joan Cole, Helen & Bernard Danzig and brothers & sisters in-law: Paul & Stacy Ratermann, Fr. Albin Ratermann, Lee & Liz Ratermann, Rita Ratermann, Cyril & Nena Ratermann and Cecilia & Ray Didier. Polly was a 1945 graduate of Holy Angels High School in Sidney and 1948 graduate of Good Samaritan Hospital School of Nursing in Cincinnati. She was a dedicated homemaker. Years ago she was employed as an RN at Wilson Health Hospital in Sidney. Polly attended St. Michael Catholic Church where she was a choir member, CCD teacher and lector. She was also a member of St. Ann's Alter Society, the Fort Loramie Legion Auxiliary, Athletic Boosters, Band Parents and a founding member of the Fort Loramie GYM committee. She was an active community blood drive volunteer and years ago had been an inpatient services volunteer at Joint Township District Memorial Hospital. Polly enjoyed spending time with her children and grandchildren. She also enjoyed reading, cooking and playing cards with the bridge and pinochle clubs. Mass of Christian Burial will be celebrated 10:30 AM, Thursday, March 21, 2019, at St. Michael Church with Rev. Steven Shoup presiding. Interment will follow at St. Michael's Cemetery. Friends may call Wednesday 2:00 to 8:00 PM and Thursday 9:00 to 10:00 AM at Gehret Funeral Home in Fort Loramie. Memorials may be made to the Urban E. Ratermann Scholarship Fund c/o The Community Foundation of Shelby County or charity of choice. Private condolences may be expressed at www.gehretfuneralhome.com.